When you start the process of ring shopping, it might not take long for your head to start spinning. From the 4 C’s to settings to choosing a stone, there are a lot of decisions to make. Start here. We’ll cover the basics of the most popular ring styles to help guide you down the right path to the perfect one. A solitaire engagement ring consists of a single stone, which can be set in a variety of ways. The most common setting is a peg head, where the prongs are created separately from the band and the two pieces are soldered together. 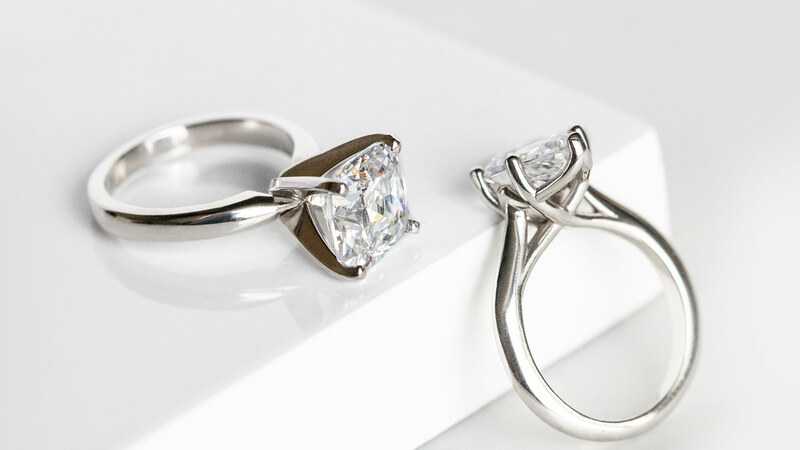 Other styles such as trellis or basket settings are created as one piece with the prongs integrated into the band. These styles tend to be sturdier than peg heads simply because the prongs are structurally part of the ring. There’s nothing wrong with a well-crafted peg head, particularly for medium and smaller sized stones. Larger stones may not be as secure and could be knocked loose more easily because they are set higher. If you hare hard on your hands or prefer a larger stone, a trellis or basket set ring may be a better option. The accented engagement ring can encompass many styles; however, it is always embellished with many small stones. Typically, the accents are set on the band. Some accented styles also have stones set along the profile or gallery of the ring as well. Accented rings can be quite simple or very ornate—which is one reason why they are so popular! A halo engagement ring consists of a larger center stone surrounded by many small accents. This ring style was first created to make small center stones appear to be larger. Soon, it caught on as a style of its own. Now, you can choose from a variety of halos in different shapes, with different band styles and even if you want one or two halos around your center stone. A three stone engagement ring has a very descriptive name! It consists of three main stones. Traditionally, these three stones are said to represent the past, present and future of a relationship. Three stone rings come in a variety of cuts, which impact the overall vibe and personality of a ring. 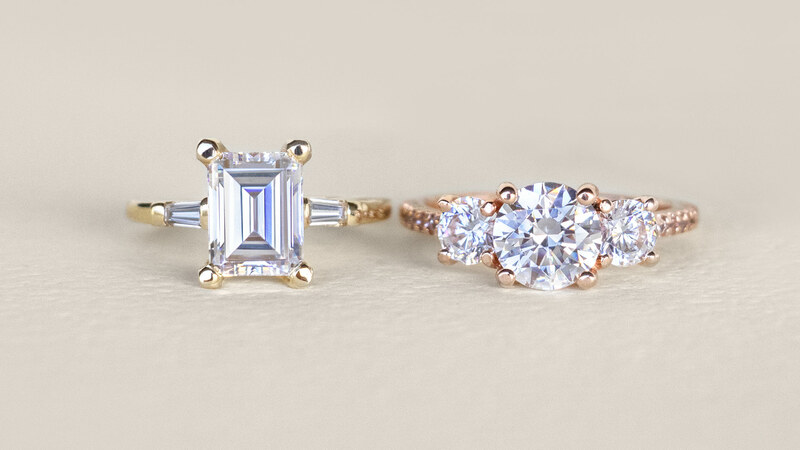 A classic style has three round stones, but a more adventurous look might use emerald or pear cut stones in some way. 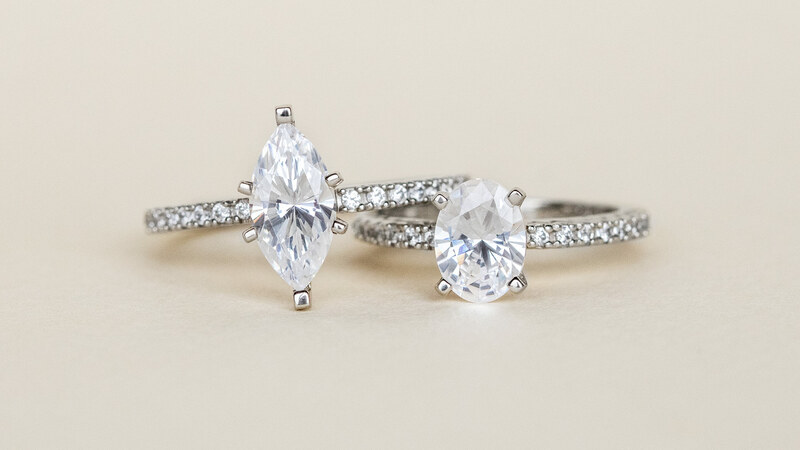 These engagement ring styles aren’t all-or-nothing. 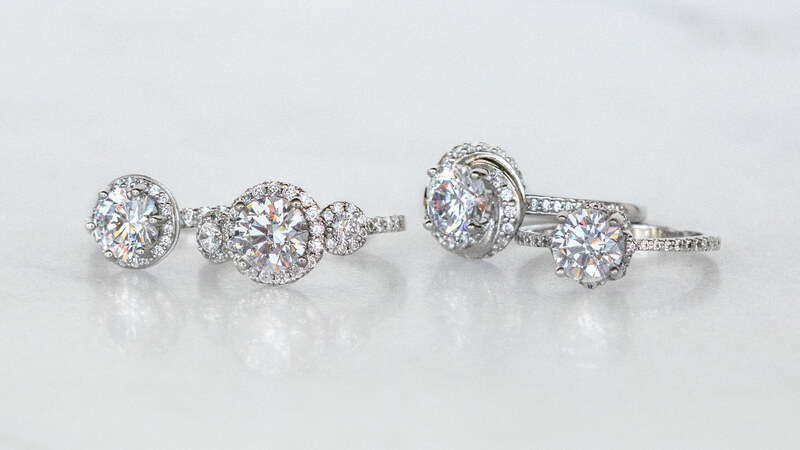 You can choose an accented halo, an unaccented three stone ring, or even a three stone halo! The choice is yours. Bali Solitaire in palladium or the lovely Lady of Kensington in Sapphire. Gorgeous. And I prefer trellis, hands down. A 2.04 carat trellis pear-shaped solitaire cast in palladium! Trellis Cushion Solitaire in Paladium. You had me with the very first ring: I am mad about the trellis. 'Tis my very favourite!